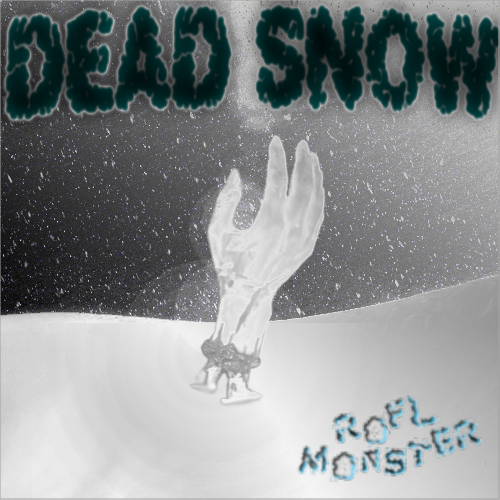 Rofl Monster's new EP, "Dead Snow", is a new and frightening experience. Titled from the foreign movie, Rofl decides to make an album dedicated to it. Songs goes in order from "The Coldest Winter" to the ending of "The Lost Cause". Enjoy this new EP. Rofl Monster's first non-pom album "Miles Away!". This album shows that Rofl Monster is progressing in Fruity Loops Studios instead of POM2. He's stepping in to some complicated music making now. New sound, new Rofl Monster. DOWNLOAD NOW! Rofl Monster's new EP, "Pictures & Letters". Cover art done by Rofl Monster and edited by traceofhatred. Rofl Monster's at it again with his 5 sad song spree! The songs give in depth of stories of relationships and hard times in life. There's always a sadness in your heart, but in the future, you will be happy! Download now! Rofl Monster's new special deluxe album is out, "The Fallen Sinner". The story behind this album is how Rofl Monster wants to sound differently from his old and new works. This album features some of the greatest songs ever made better than his other original songs. The story is dark though, and got him demoted. Enjoy this album like it's your last. The demotion is not because of the songs themselves, but because, in order to get out of the "Rofl Monster" name, Rofl Monster created an alternate account - Fallen Sinner - which is forbidden on pom.net. songs to gain inspiration outside of pom. Spectre/badtidings for making "Point Zero"
and start pomming again. He makes em fast. hear! So download it now! Rofl Monster's latest release. This album/EP showcases his best sad songs made on pom.net. He has bloomed inspiration from the early days. There's a bonus song "This Sad Story" that closertodying sung over. So, give him credit for that. Rofl Monster's first EP album "Reincarnation" features his new work and style of music. There were many influences however making this album. This album showcases new songs including the hit song "Recreation" and the featured song, "Reincarnation". This EP's genre is Hard Rock so put on your hard hats. This album also features a couple of sad songs. Look forward for more songs from him, he makes them weekly. Unveiling his first album ever here on Cookies and Biscuits Records, Rolf Monster has definitely set out to impress. Not only that, he has set the bar very high for his future releases as "Reincarnation" boasts an exceptional array of songs and a very notable sense of maturity. Rofl Monster really shows us the meaning of the word dynamics by blending both hard rock and more traditional punk rock sounds into one tight and well delivered package. To top that off, this EP offers as much quantity as it does quality with it's 9 powerful tracks and thirty minute run time. Combining melancholic hooks, intense choruses, brilliant harmonies and a perfectly timed rhytmic section, "Reincarnation" will more than likely please softer and harder music fans alike. From the slowly escalating intro in "Never Forgotten" to the catchy yet experimental sounds in "Unforsaken Mistakes", to the atmospheric crescendos in "The Last Remeniscence of Her" and to the intricate palm muted verses in the title track, prepare your ears for pure enjoyment as "Reincarnation" truly delivers on all points of view. Rofl Monster is lived with the name Abraham and is creative at song making. He loves creating music off of POM2 and makes them daily. He began starting his career in late January. He started submitting newbie songs and learns what mistakes he have made. Then later, he listened to some top rated songs and started experimenting on new songs. Later, to this point, Rofl Monster has made it to the top and inspired a lot of people. He is also good at some sad songs. But he started to quit making sad songs and started experiment more. He had made total changes, and has made over 100 songs. See more from him in pom.net.